"Accelerated Radical Innovation in the Industrial Technology Life Cycle"
"Measuring the Strategic Value of Technologies"
"New Product Development Training for Technical Entrepreneurs"
"Why Well-Managed Projects Still Fail?" The Lightweight Project Management Framework (LPMF) is a suite of six project management tools (Project Life Cycle, Scope of Work, Work Breakdown Structure, Responsibility Interface Matrix, Critical Path Mapping, and Risk Management Model) that interlock to provide a lightweight and flexible structure for "micro IT projects" with timelines less than one year and non-capital budgets. This tutorial will provide fast-paced interactive experience with all six tools in a simulated project environment from project inception to postmortem. Teams will be created and individual members will own application of a single tool while providing input into other team member's tools. At the end of this session, attendees will be able to describe the six tools, identify if LPMF is appropriate for a specific project, and implement LPMF structure in their environment. Michael Burton is a global technical project manager in Intel's IT Business Unit owning both IT Network Operations learning/development efforts and "BIG IP," Intel's internal network load balancers. Completing a BA in Theatre and Drama from Indiana University (IU) in 1997, Michael was heavily involved with computers from childhood. He took on an apprentice role supporting IU's computer network infrastructure before moving to Portland in 1998. After two years on Portland State University's network operations team he moved on to work for Intel where he has been for the last seven years. Michael's involvement in project management started at IU in the Theatre Department where he was a stage manager and each job he has held since has had a growing component of project management. To formalize is skill set, he took on the Masters of Engineering in Project Management track from Portland State University where he completed his degree late in 2006. While at Intel Michael has coordinated several cross-cultural project teams. Coping with differences in culture, language, and time zones; a structured and formalized method was required. He developed the Lightweight Project Management Framework (LPMF) to drive multiple concurrent international projects to success. The LPMF course is an internally-taught class to Intel's IT Project Managers and service owners. The academic work of Schumpeter has popularized the importance of innovation, particularly since about 1970 when an exponential increase in published papers dealing with the technological innovation began. NSF has concluded that over 50% of the economic growth in the economy derives from technological innovation. Notwithstanding, recent assessments of global competitiveness have concluded that innovation methodologies for cost reduction and incremental improvement of existing technologies that proved so effective in the 20th Century will be increasingly ineffective in the information intense, globally competitive economy of the 21st Century. Despite the continued increase in science and innovation publications, unfortunately there is a Balkanization of innovation hindering the optimization of breakthrough innovation in the 21st Century. As perceptively described by John Age in his 1995 paper, there is a lack of a holistic model needed for successful integration of radical innovation principles into rapid and affordable radical innovation. In response to this strategic crisis, a team of researchers since 2004 has recognized the need for an effective methodology grounded in theory and principles, to guide acceleration of innovation from the discovery phase through to standard design, diffusion, and finally innovation maturity. The result, summarized in this paper, is a new paradigm of Accelerated Radical Innovation (ARI). Dr. John Dismukes, upon completion of his university education, immediately undertook materials science research in the semiconductor industry (RCA Laboratories, Princeton, NJ), where he received the David Sarnoff Gold Medal for successful transfer of Ge-Si thermoelectric alloy processing to factory production for the Voyager and other space missions. After two years of semiconductor business and marketing experience, he launched and ran the first new business venture for the manufacture of amorphous metal alloy ribbon at Allied Corporation. he then spent 17 years at Exxon’s Corporate Research Laboratory in Annandale, New Jersey. There he conducted materials science research in structural materials, nanotechnology, polymer composites, and synthetic diamond, and served as program coordinator in major external joint R&D ventures including low-cost solar cells and high-strength steel. In 1996 Dr. Dismukes moved to The University of Toledo, where he served as Associate Dean for Research in the College of Engineering from June 1996 to June 1999, and as Interim Vice Provost for Research for seven months during 2000. He is currently Professor in the Department of Chemical and Environmental Engineering, with research and teaching interests in materials science, alternative energy technologies, and methodologies for acceleration of radical innovation. Since 2004, John has taken the lead in organizing conferences and workshops in the new field of Accelerated Radical Innovation, and has initiated a graduate course in this area. Dr. Dismukes received a Ph.D. in Inorganic Chemistry from the University of Illinois and a B.S. in Chemistry from Auburn University. Dr. Dismukes has published over 80 technical papers and has been awarded 12 U.S. patents. Dr. Nathasit Gerdsri is Program Chair of Management and Strategy in the College of Management, Mahidol University (CMMU), Thailand. He received his Ph.D. in Systems Science/Engineering and Technology Management from Portland State University, USA, in 2004. His Ph.D. dissertation was on the development of a technology development envelope (TDE) for roadmapping of emerging technologies. A part of his dissertation received the PICMET '05 Outstanding Student Paper Award. Dr. Gerdsri received a B. Eng in Mechanical Engineering from Chulalongkorn University (Thailand) and dual M.S. degrees in Mechanical Engineering and Engineering Management from Portland State University. Dr. Gerdsri's research areas include strategic technology management, technology roadmapping, strategic decision making, project management, and international technology management. Prior to joining CMMU, Dr. Gerdsri held a faculty position as Visiting Assistant Professor at Portland State University, where he taught courses such as Technology Roadmapping and Decision Making. Before that, Dr. Gerdsri worked with Intel Corporation’s R&D Lab located in Oregon (USA) as a technology developer and research program coordinator during 2001-2002. In addition to academic works, Dr. Gerdsri has served the community by providing tutorial presentations, consulting and training services on issues related to technology roadmapping, technology management, and R&D project selection to companies, government agencies and conferences. Dr. Dundar F. Kocaoglu is Professor and Chairman of the Department of Engineering and Technology Management at Portland State University, and President and CEO of PICMET (Portland International Conference on Management of Engineering and Technology). His research areas include technology management, project management, R&D management, decision theory, hierarchical decision modeling, evaluation and selection of emerging technologies, and resource optimization. Dr. Kocaoglu received his B.S. in Civil Engineering from Robert College (in Turkey) in 1960, M.S. in Structural Engineering from Lehigh University in 1962, M.S. in Industrial Engineering from the University of Pittsburgh in 1972, and Ph.D. in Operations Research and Systems Management, also from the University of Pittsburgh in 1976. He joined Portland State University to start the Engineering Management Program in 1987. The program has since become the Department of Engineering and Technology Management. 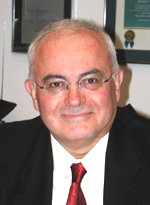 Prior to 1987, Dr. Kocaoglu was the director of a similar program for 11 years at the University of Pittsburgh. Dr. Kocaoglu has worked in industry as an engineer and project manager from 1962 to 1971. He has been a consultant on engineering and technology management since 1973. His clients include Westinghouse, Brown Boveri, IBM, Intel Corporation, Tektronix, II-Morrow, Cascade Microtech, several other small-to-medium sized technology-based companies, more than 10 universities, R&D Centers and the United Nations. He has served in National Research Council committees for the evaluation of the NIST (National Institute of Science and Technology) manufacturing centers, and for the improvement of U.S. Department of Energy decision making processes for nuclear waste disposal and decommissioning. He has also been an NSF (National Science Foundation) reviewer for research proposals, and served on NSF panels for the evaluation of research centers. Dr. Kocaoglu is the author, editor or co-editor of seven books titled, Engineering Management (Mc-Graw-Hill, 1981), Technology Management: The New International Language (IEEE, 1991), Management of R&D and Engineering (Elsevier, 1992), Innovation in Technology Management (PICMET, 1997), Technology and Innovation Management (PICMET, 1999), Technology Management in the Knwoledge Era (PICMET, 2001) Technology Management for Reshaping the World (PICMET, 2003), Technology Management: A Unifying Discipline for Melting the Boundaries (PICMET, 2005). He was the Editor-in-chief of IEEE Transactions on Engineering Management 1986 – 2002) , and the Series Editor of John Wiley Book Series in Engineering & Technology Management (1985 – 1998). Dr. Kocaoglu is the recipient of the Distinguished Research Mentor Award of the National Science Council of Taiwan, the IEEE Fellow Award, IEEE Centennial Medal, and IEEE Millennium Medal, all of which were awarded for "leadership in the development of the Engineering Management discipline". Published literature reports that NPD processes in general, and technological entrepreneurs (TEs) in particular, under-emphasize marketing in NPD. An interactive computer simulation was created to introduce participants to published NPD best practices, primarily greater marketing early in NPD. Simulation participants are placed in the role of an entrepreneur with a product vision and limited money. Participants move from the initial product vision, through customer interviews, focus groups, trade shows, break-even analysis, product feature selection, pricing and customer segmentation. The simulation concludes with product launch and feedback. The speaker will run the simulation with participants viewing projected screen images. They will be asked to discuss and make the necessary decisions (Should we attend a trade show now? Talk with more potential customers? Select additional product features? etc.). A full simulation requires two to three hours depending on the amount of discussion. It has been used in our graduate Marketing class and our Entrepreneurship class where initial results indicate students learned to integrate the various choices into a coherent NPD strategy. They enjoyed the exercise. The workshop also presents a summary of the NPD best practices found in the literature. Terry Schumacher is an Associate Professor of Engineering Management at the Rose-Hulman Institute of Technology, USA. He has taught Project Management, Marketing for New Product Development, Technology Management & Forecasting, Globalization & Strategy, Intercultural Communication, and Organizational Behavior since joining the RHIT Masters of Science in Engineering Management (MSEM) program in 1999. Professor Schumacher worked for two years at the Open University Business School as a member of the team developing the MBA course “Knowledge Management.” He taught Business Policy and Strategic Management courses at Oregon State University. His industrial experience includes three years in a software research center in Munich, Germany, and seven years as a policy analyst in the electric utility industry in the U.S. Professor Schumacher studied the culture of a high-tech start-up in his Ph.D. research at Portland State University (1992). He measured significant attitude change in employees who experienced the training simulation developed for that project. His research interests include training simulations, organizational culture, and scenario planning. His current projects include a simulation addressing virtual teams and one on strategic project management. Project management research shows that most projects today fail. You may think that projects fail because of poor planning; lack of communication, or inadequate resources; but as the evidence suggests, failure is often found even in well-managed projects, run by experienced managers, and supported by highly regarded organizations. This research-based workshop will show that the current practices of project management are insufficient to guarantee project success. The workshop will present the current myth and the reality of project management and will offer a new paradigm and a new language to deal with today’s projects. According to this paradigm projects are business-related processes that must deliver business results. They are not predictable or certain. Rather, they involve a great deal of uncertainty and complexity, and they must be managed in a flexible and adaptive way. Planning is adjustable and changing, and as the project moves forward, re-planning is often necessary. And project management styles must adapt to the specific project and its requirements. While this approach represents a shift in thinking, it is inevitable to meet today’s organizational challenges. We believe that every organization can significantly improve its business results and achieve more homeruns from its projects if it will consciously apply the frameworks of this workshop. Aaron J. Shenhar Ph.D. is the Institute Professor of Management at Stevens Institute of Technology. He holds five academic degrees in engineering and management from Stanford University and the Technion, Israel Institute of Technology. Dr. Shenhar has accumulated over 20 years of technical and management experience as an executive in the defense industry in Israel. In his present academic career, Dr. Shenhar is focused on teaching and research in the areas of technology and innovation management, project management, product development, and the management of professional people. He is a recognized speaker and consultant to leading high-technology organizations. For his cumulative contribution to engineering and technology management he was selected “Engineering Manager of the Year” by the Engineering Management society of IEEE in 1999. Offshoring has been a controversial practice in the Industry. Many books and articles have been written about why offshoring is a business necessity in the 21st century. There is also probably an equal number of books and studies about the dangers, pitfalls and macro-level adverse effects of offshoring as a business strategy. In this workshop, we will not be discussing if offshoring is right or wrong for the business; rather, how to make it a success. We define offshoring as work taking place in a remote (from the organization epicenter­) geographic location with reduced labor costs. Organizations which offshore ought to pay attention to three foundational vectors as critical success factors for the endeavor: Cultural Awareness, Operational Tactics and Strategic Alignment. A set of methodologies (tools and processes) must be established and carried out in the practicing organization in order to ensure the three critical vectors of Culture, Operations & Strategic remain healthy and intact. In this workshop, we will examine each vector and based on our experience in Hewlett-Packard, Vancouver, we will offer a set of practices that have proven essential to successful offshoring. Arezou Zarafshan received her BS and MS degrees in Electrical Engineering from Washington State University. Arezou has spent over 13 years in Industry working at Hewlett Packard and with a diverse set of companies such as Motorola, Texas Instruments and Flextronics. She has managed research and development teams and has led technology development for components and systems for HP's Inkjet products. Arezou is currently a Research & Development Section manager at Hewlett-Packard. In her role, Arezou creates and utilizes successful development strategies that capitalize on Globalization trends for delivering superior products with utmost efficiency. Arezou is a world traveler and has lived in the Middle East and in Asia. She is currently residing in the US.